November Newsletter is here! New Pokémon 3DS releases, TCG expansions, and much more! 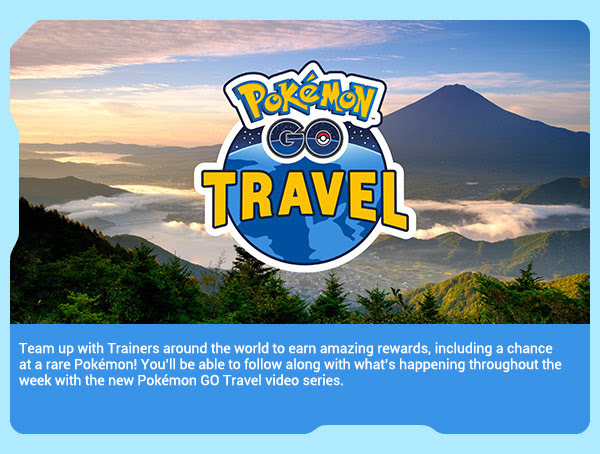 November brings exciting news with new Pokémon 3DS games, a new Pokémon TCG expansion, global Pokémon GO events, and much more! Read about all the exciting news in this month’s newsletter and make sure to subscribe to receive notifications via email and a unique code to unlock a digital booster pack in the Pokémon TCG Online! Check out all the cool features in the latest Pokémon release for the Nintendo 3DS, Pokémon Ultra Sun and Pokémon Ultra Moon! 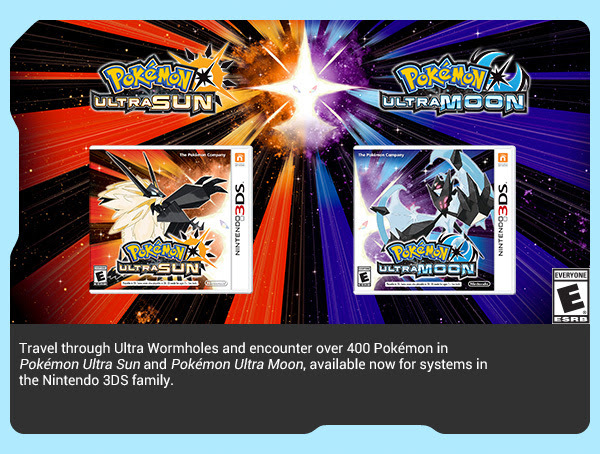 Don't forget to register your Pokémon Ultra Sun or Pokémon Ultra Moon game to earn a free Master Ball! Pokémon GO trainers can band together and join the Global Catch Challenge to unlock amazing rewards! A new expansion is invading the Pokémon TCG scene... Pokémon Sun & Moon - Crimson Invasion! Click the link above to check out exciting information about this new expansion. 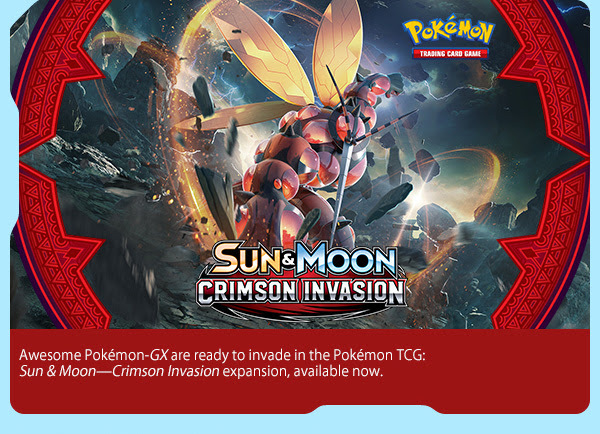 If you're looking for more details about Crimson Invasion or other Pokémon expansions, visit the official Pokémon Trading Card Database. Pokémon TCG: Shining Legends Super-Premium Collection Featuring Ho-Oh is out! Pokémon TCG trainers won't want to miss out on this opportunity to pick up several cool new foil Promo cards, a special playmat featuring 9 Shining Pokémon, booster packs, a code card, and much more! This box is perfect for any trainer looking to expand their collection. Click the image above to find out more details and where you can find this limited edition collection! 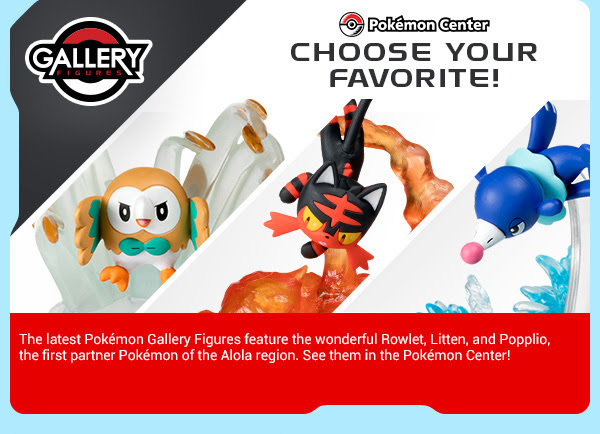 Check out the new Litten, Rowlett, and Popplio Gallery figures in the Pokémon Center! Pokémon the Series is now on Blu-ray! Watch Ash travel through Kanto in 1080p and find cool extras like a Pokérap music video, a “Who's That Pokémon?” digital art gallery, and much more! Click the link above for more details! 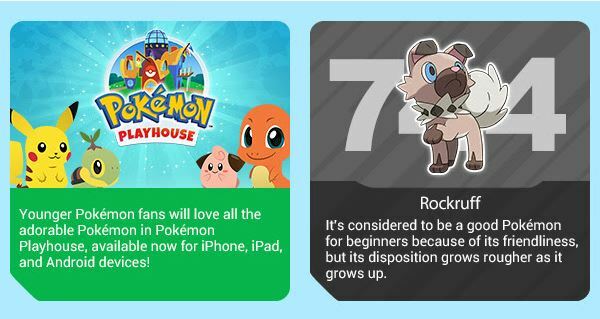 Pokémon Playhouse is now available for iPhone, iPad, and Android! Explore areas, play games, and even make music with your favorite Pokémon! Find out more information about this game by clicking the link above! · Scroll all the way to the bottom to make sure that your Email Preferences have a checkmark next to "I would like to receive marketing email messages, including information about future online games, from The Pokémon Company International."